Are you looking for parts for high pressure hydraulic applications? When your hydraulic equipment is your livelihood, you can’t trust just any brand of high pressure parts. However, you can trust high pressure parts from Oilgear. Since 1921, Oilgear’s designers and engineers have been carefully studying high pressure applications and creating pumps perfect for the job. Wide Selection of Pumps and Accessories: Obviously, if you don’t have the right hoses and valves, your Oilgear high pressure pumps in San Pedro CA aren’t going to be much use. Fortunately, we have a complete supply of high pressure components for you to choose from. Excellent Customer Service: Our experienced staff members are ready to provide all the help you need selecting the right Oilgear high pressure pumps in San Pedro CA for your specific application. If you have a question that stumps them, they will not hesitate to get the necessary info direct from Oilgear. Multiple Ways to Get Your Parts: For your convenience, we offer 3 ways to fulfill your order. You can pick up your part at one of our stores, have it dropped off at your work site if you are in our local area, or have it shipped to you anywhere in the US. Repair and Maintenance Services: We don’t abandon you once you’ve bought your Oilgear high pressure pumps in San Pedro CA. 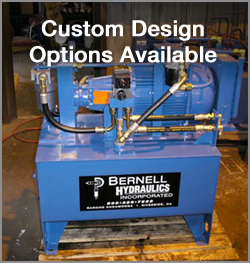 We can also provide installation, maintenance, and even repairs for your pumps and other components if needed. Want to check if a part is in stock or place a special order? Simply have a question about our services? Pick up the phone and dial 800-326-7252 and we’ll be happy to help.